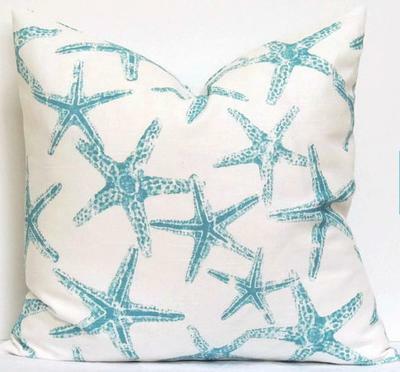 I want to put images of starfish on denim sofa cushions. What technique should I use--stamping, printing, stencil, etc.--I might want to use actual starfish. What type of paint would be best? I'm including a photo of the type of effect I'm aiming for. Comments for What's the best technique and paint for printing on sofa cushion? All of those techniques would work. It's best to use a fabric paint or acrylics with a fabric medium mixed in.